Today, October 15th, is pregnancy and infant loss remembrance day. So many families live in grief silenced by the propriety of our society. Today I want to lift up these families, these mothers, and fathers, and brothers, and sisters. I see you, I remember with you. You are loved. If you are reading this and have lost a child please, if you are comfortable, leave their name in the comments below so that I and others may remember them today and everyday. For many of us it is so hard to relate to this loss and we do not know what to do or say to help our loved ones. 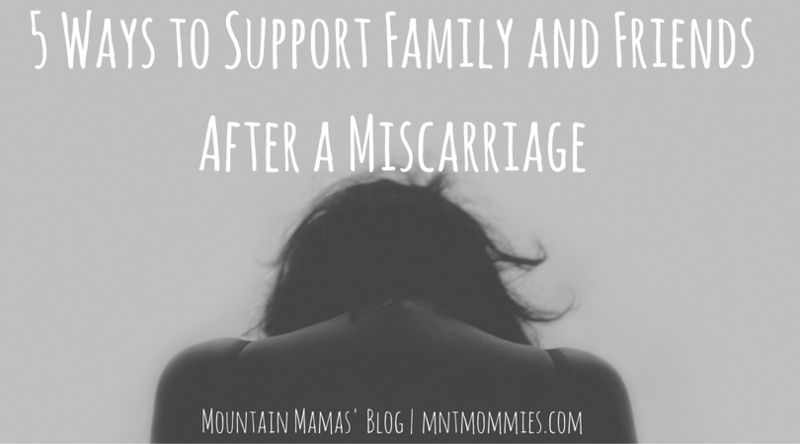 Here is a list of 5 Ways to Support Family and Friends After a Miscarriage. The most helpful and important thing you can do is let them grieve. Validate their feelings of loss and grief. Don’t base the amount of their grief on the time of gestation 5 weeks or 20 weeks the pain is still the same. If they are using their child’s name be sure that you use it too. Avoid using cliches like ‘everything happens for a reason’ or ‘it’s part of God’s plan’. Just say SOMETHING! Reach out through phone, text, Facebook Message, snail mail, whatever and just say ‘I’m sorry for your loss’. They need to hear it, they need to know they aren’t alone. They need to know other care. Their family is under a bunch of emotional strain. The mother is under physical strain as well, her body until recently, held and nourished a baby. When a mother delivers a baby and goes home many times churches and friends stop by and drop off food while the family recovers from the birth yet hardly anyone does this if there was a miscarriage. So drop off a meal, or set up a meal train for the family. There is nothing like food cooked with love to help you through a hard time. On October 15th there is a wave of light. Candles are lit at 7PM in whatever timezone you are in to create a continuous to remember all the precious souls gone to soon. To help honor the child and their family make them a handmade candle they can light on this day or any day. You can also make and take the family many other gifts. Rachel-isms on etsy makes gorgeous custom jewelry for moms who have had miscarriage. A gift basket with the families favorite treats. 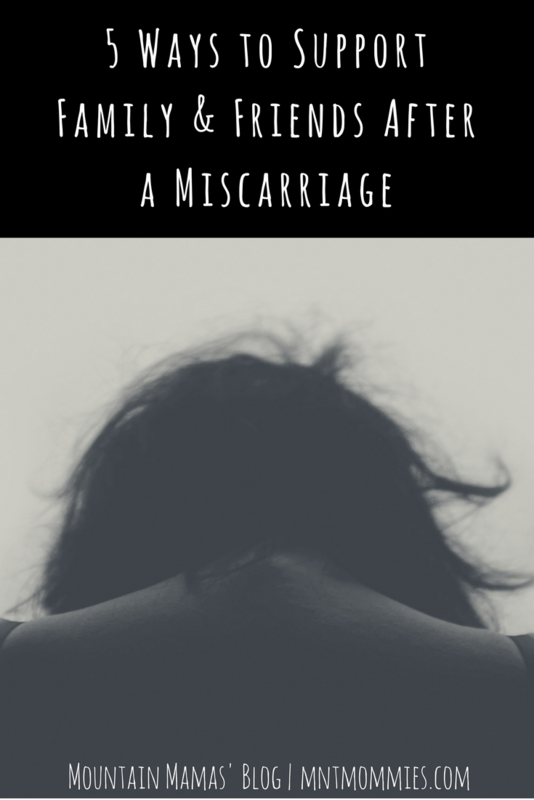 After a miscarriage many women have a million thoughts going through their head and are trying to figure out how this could have happened. They think ‘what if I’ or ‘maybe I should have’ and ‘what did I do’. Tell them that it is not their fault, they did nothing wrong. They need to hear those words! Still unsure of what you can do to help? Just ask them. Say ‘I am so sorry for your loss, is there anything I can do for you?’ Maybe they need some help with dishes or housework. Or just want a friend to sit around and drink with them. Who knows, but asking what you can do for them is better than staying silent. This entry was posted in Health and tagged family, friends, grief, grieving, health, loss, miscarriage, mourning, october 15th, pregnancy, support.